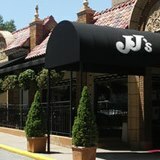 Lantern will donate $1 to help JJ’s Restaurant employees for every new user who signs in this week (through Feb 28). Such a tragic accident…hope we can help in some small way. People can get the app below. It’s free.